I've been in Detroit all week and wanted to look for a local organization to profile for Feel Good Friday. That led me to Detroit Impact. As explained on their Twitter page, "Detroit Impact Goal; to train, coach, educate, equip, and engage youth who have shown potential in the areas of leadership, mentoring, counseling and advocacy." Founded in 1991, their programs include academic assistance in the form of group and individual tutoring, life skills mentoring, a Microsoft Computer Learning Center, a Motown Writers Journalism Class, Remote Car Circuit for kids 6-12 and education on money matters. They also have voter registration education workshops, pet care classes and community clean ups! Click here and scroll to the bottom to watch a news clip on their recent STEAM classes and kids making rockets from water bottles. Click here to learn about how they connect students with paid summer internships. 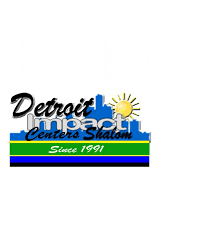 To support the youth of Detroit and the many programs run by Detroit Impact you can make a donation and show the social media love by liking their Facebook page and following them on Twitter @DetroitImpact91.